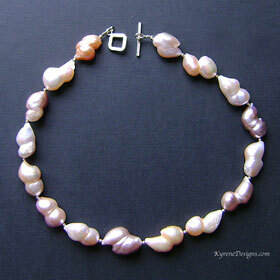 Luxury huge cultured pearls in all natural colours on this bold, and very unique necklace. 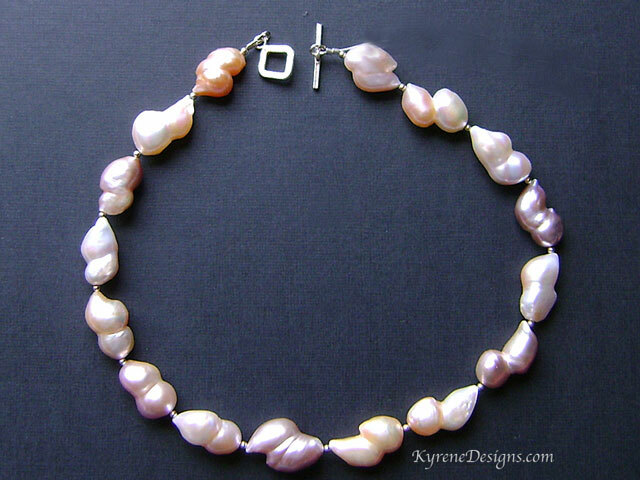 These beautiful pearls are something very special. With tarnish resistant argentium sterling silver beads for easy care. This certainly is a wonderful statement piece, substantial and with 'weight', but not too heavy to wear. Length: 17.5 inches. Pearl 22x12mm. Karen hill tribe, handmade fine silver toggle clasp. Strung on highly flexible jeweller's wire. Matching short drop earrings are available contact sales@kyrenedesigns.com. Can be customised with clasp & extender if preferred, or with 14ct gold fill.